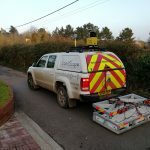 LandScope’s Mobile Radar service allows for the rapid and efficient acquisition of GPR data over large survey areas. 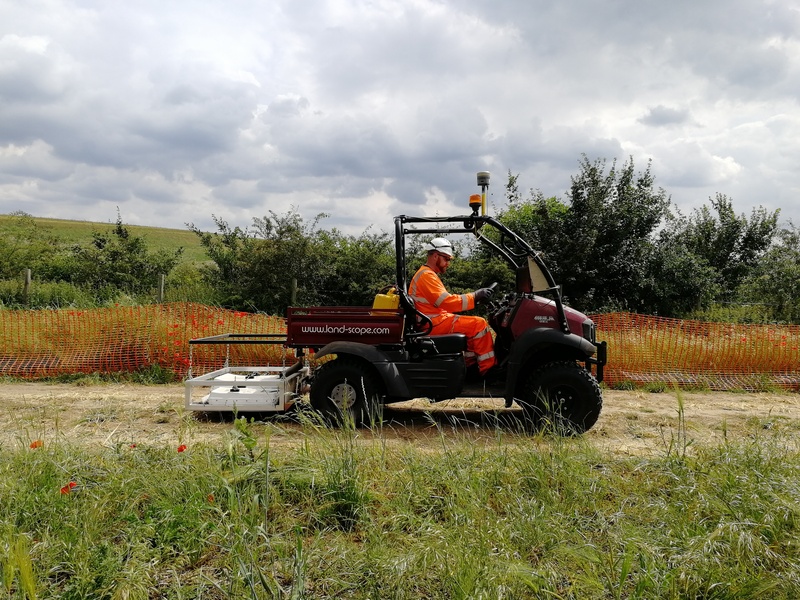 A multi-antenna GPR array is towed from a highways survey vehicle, covering a wide swath with each pass. 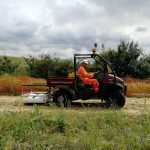 Developed by LandScope’s team of Geophysicists and Surveyors, in association with UTSI Electronics, the mobile radar employs a system of multiple channels of closely spaced antennae to acquire several lines of data simultaneously. Antenna frequencies and configurations can be selected to suit site conditions and target requirements. All data is geo-referenced using corrected GNSS, GPS + GLONASS, military grade inertial navigation system (INS) and SLAM processing. Online acquisition software provides the surveyor with a ‘snail trail’ display during acquisition ensuring full and maximum coverage of the site. 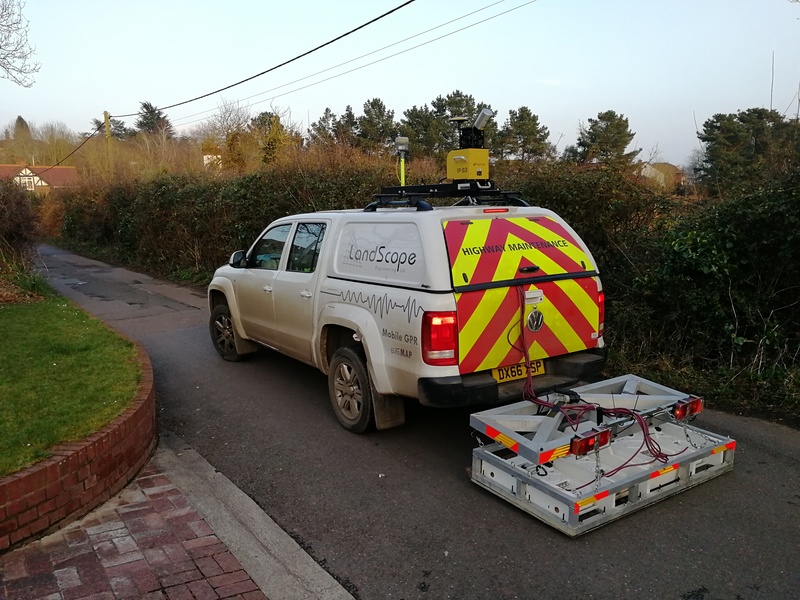 LandScope’s mobile radar provides efficiently for high resolution 3D mapping of subsurface features in accordance with the higher order PAS128 specifications whilst mitigating the requirement for costly traffic management and reducing the risk of personnel in dangerous highway environments.